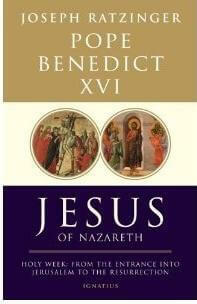 Part two of Pope Benedict’s book Jesus of Nazareth is due to be published on March 10th (Thursday) and should be available for sale in our Lodge bookshop later this week priced £14:95. The book explores the life of Christ during the first Holy Week, from the entrance into Jerusalem to the resurrection on that first Easter Sunday morning. Ideal Lenten reading.